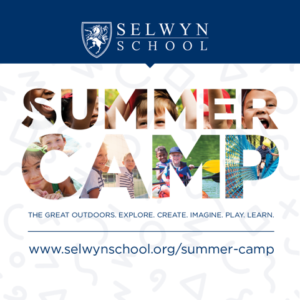 Selwyn is a non-sectarian, college-preparatory, independent school serving pre-school through grade 12 students. A member of the National Association of Independent Schools, Selwyn provides the most thoroughly individualized, comprehensive and developmentally appropriate array of student-focused experiences in North Texas. Our students grow into independent thinkers and creative problem solvers who are highly resilient, emotionally intelligent leaders prepared for effective citizenship in a global society. Our vision is to elevate the human experience by encouraging whole child development through high academic standards and age appropriate challenges that foster creative problem-solving, emotional intelligence, and social responsibility from which world leaders emerge. With confidence, immediacy, and creative, thoughtful plans. By enthusiastically embracing uncertainties as opportunities, not barricades. Driven by curiosity and a lifelong commitment to learning. By collaborating beyond their comfort zone, disciplines and regions, recognizing that so many beyond their immediate expertise, culture and insight have significant value to give. Maintaining a calm, focused, effective approach even during times of great stress or crisis. Planning his time with a sense of balance across the priorities in his life. Adapting to unfamiliar approaches to better manage uncertain terrain. Unencumbered by fear of failure, knowing there are valuable lessons in every experience. With a natural ease, as adept at forging productive relationships either across the room or across the globe. Reflecting the wisdom to know that diverse perspectives lead to valuable solutions. Walking in the shoes of others to better understand their perspective and their choices. Motivated by meaning, she does well by doing good. Open to a breadth of ideas, with equal respect for all contributors. Shows unbreakable kindness and helpfulness through success and challenge. Trusts in the value of his team, emphasizing coaching over command. Positions his team to resolve what they know today and the unknown to come. Combines a commitment to truth with respect and understanding in the face of differences. Can disagree without being disagreeable, control without being controlling. Has a genuine appreciation and interest in opinions that extend beyond her own experience.